…. amazing prize for this contest from the lovely folks at MODA for all 6 winners!! 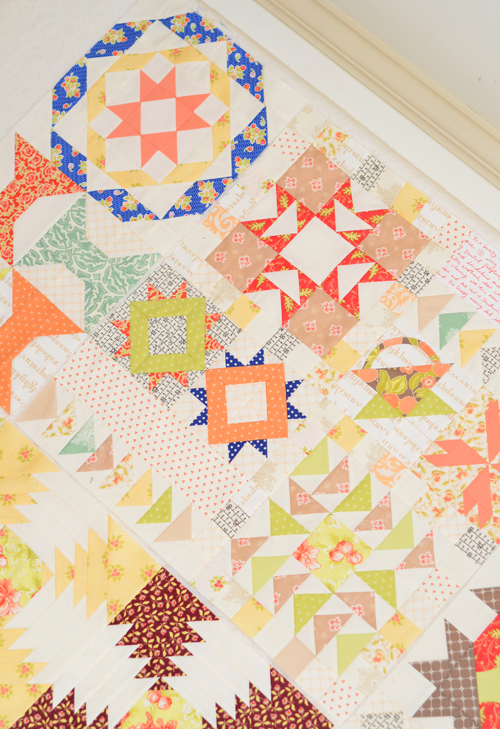 … photos of a few of the blocks from our Mystery Sampler Quilt from 2015. 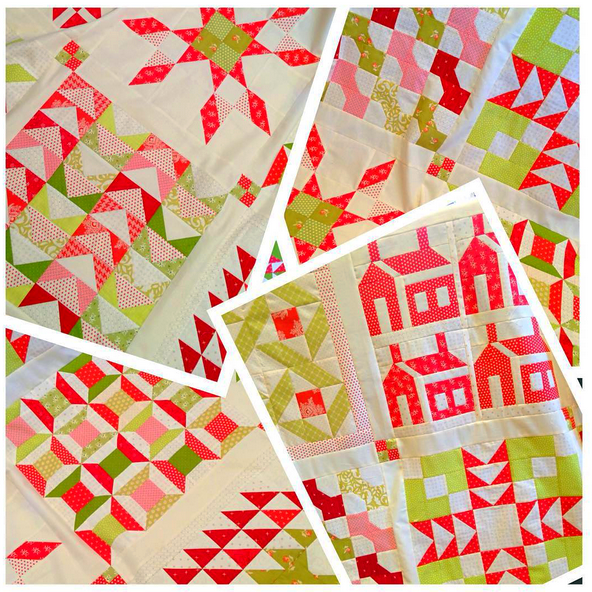 …images from the Yuletide Sampler BOM quilt that we ran in both 2015 and 2016. …photos from last years Mystery Sampler BOM. 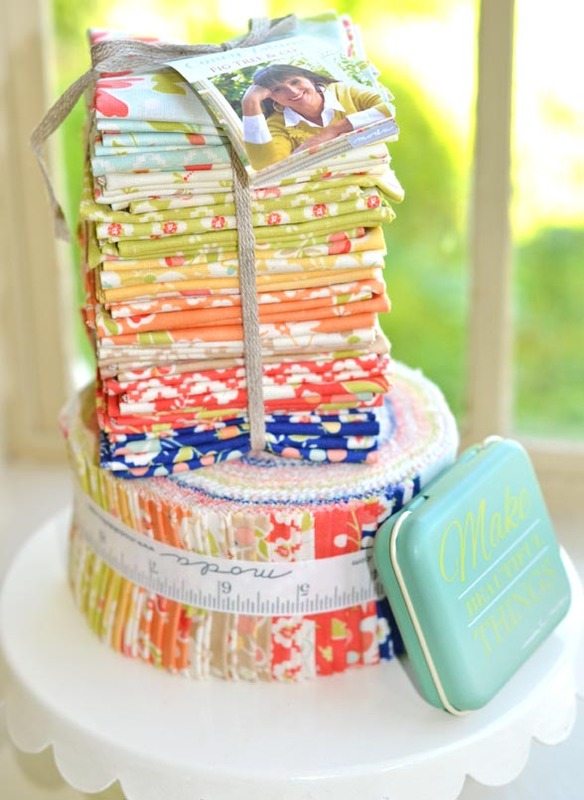 If you want to do a grouping or a smaller one to compliment a larger one…. go for it! YOU CAN MAKE AS MANY BLOCKS AS YOU LIKE…. the more, the better… you have all month to submit them! Who knows, you might end up making your own Fig Tree Sampler in the process! The contest runs from April 5 through May 1. All winners will be announced on May 5. We will have 6 winners… YES 6 WINNERS… and the winning blocks will be included in one of our Block of the Month programs! You will be given credit for the block in the program, you will receive an awesome prize from the amazing folks at MODA [yes that is the prize in the picture above] and we will be besties for life :-))). Oh yeah… and you will get special “early bird” sign up privileges for any Fig Tree program for next year! That’s worth it just right there I tell ya! Hi Joanna, I was looking for the “contest baggies” to get started with in your shop, but didn’t see any. As I have no Fig Tree Fabric in my collection, I could use some scraps to help make my block entry, so I can win some beautiful Fig Tree fabric. How do I purchase a “contest baggie?” Thank you. Hi Joanna, Does the block need to be pieced or is applique also okay? They are up now. So sorry for the delay! It can be pieced or a mix of pieced and simple applique would be lovely too. 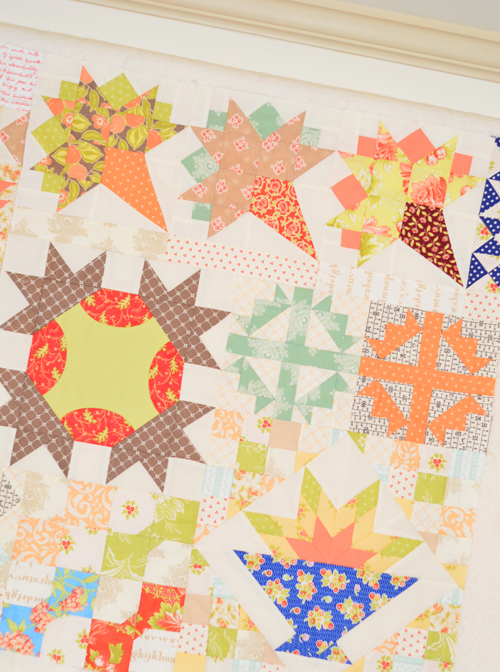 We usually don’t use all applique blocks in our samplers so that probably won’t have a chance of winning. 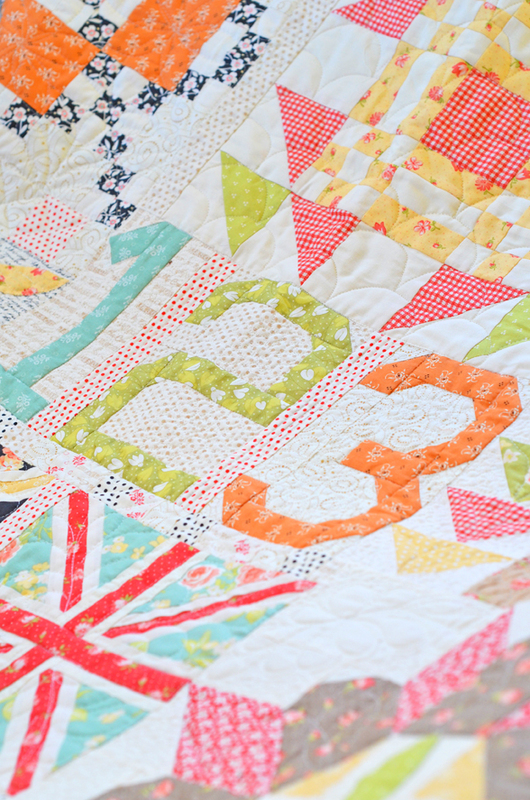 Although we do use all applique on our wool projects so on second thought… feel free to go for whichever you like!! Here’s my 10 inch block I call Star Flower. I guess I will have to email you the photo. Greetings Joanna. Can’t enter as I am gone til May 9. 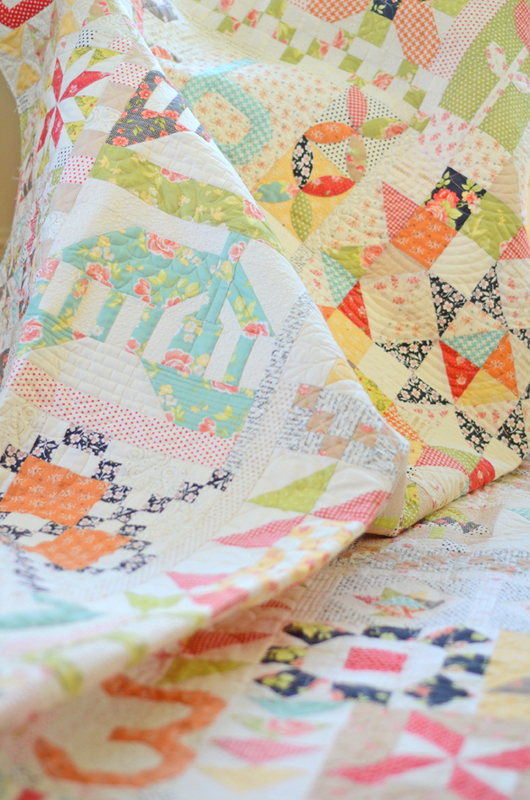 Would enter my mini quilt from your frivols tin. Love the churn dash. I know the picture your talking about! ❤ I want to be Susan when I grow up! Joanna, where do i find info on the contest to follow from other designers as well? I can’t find anything on the Moda blog. I’m going to work on a block or two for you, but wanted to see the other stuff. Each month there is only one designer so there is nothing else to find for April! 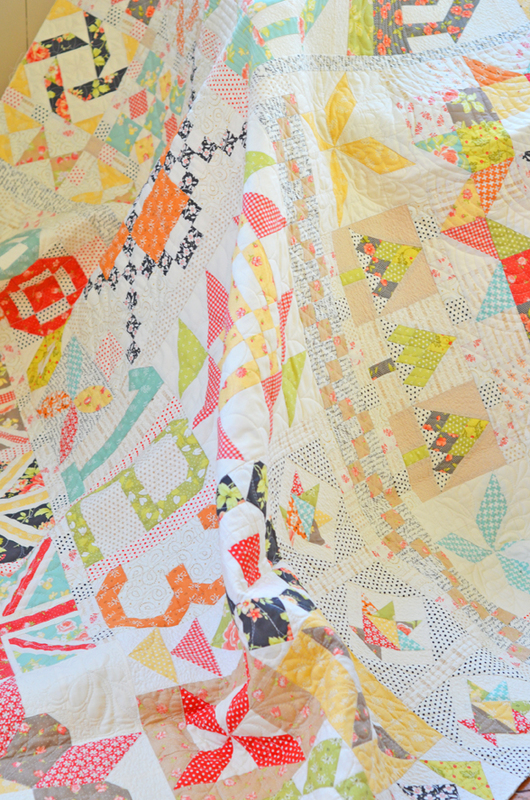 Hi Joanna, how exciting to be able to help you design a BOM quilt. Never one to circumvent the rules, but I have found only one supplier for Fig Tree fabrics in New Zealand, and they don’t have any cream plains or prints, or any Bella solids. Can I use any plain, no name designer, imported to NZ (i.e. Chinese) cream print? I have only a choice of 3 fabrics and they really would not ‘go’ together very well. 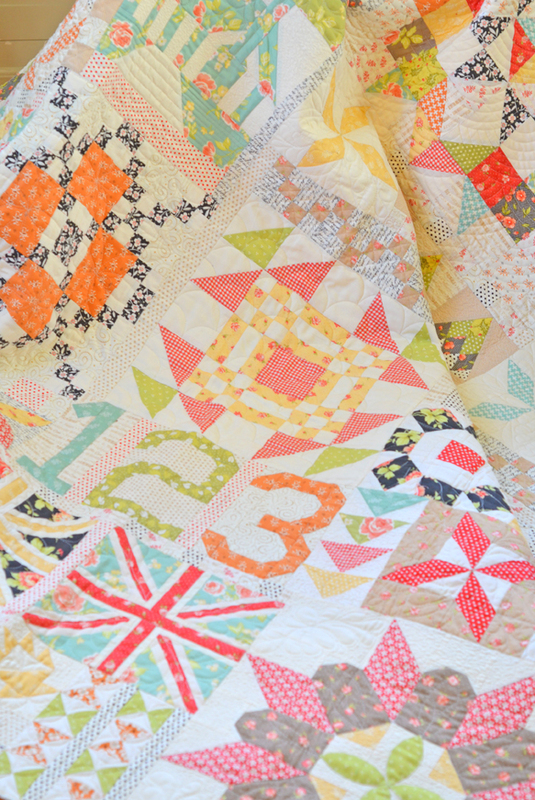 I only need 2 fabrics for my favourite blocks, so I would buy some of each & make the block in 3 different colourways. Absolutely… use any cream fabric that looks good with your Fig Tree! Above all, have fun! Thank you so much <3 now I have to wait for 90 minutes for the shop to open.